The westbound lanes of Interstate 215 near Decatur Boulevard were closed shortly before 9 a.m. because of an oil spill and several crashes involving multiple vehicles. 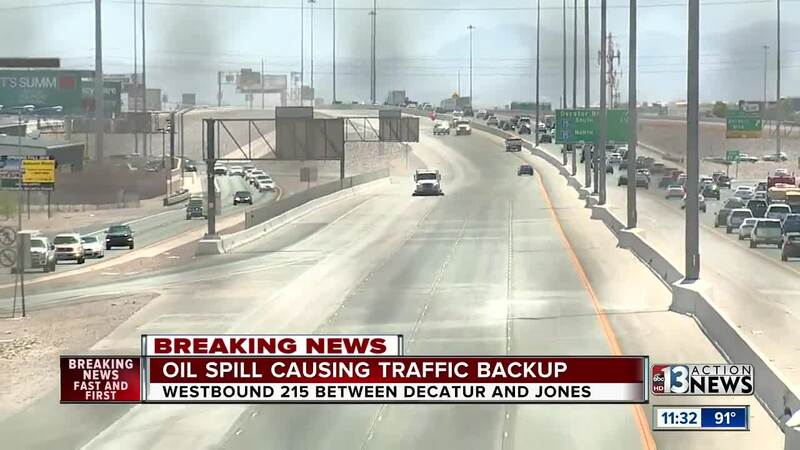 UPDATE: Nevada Highway Patrol tweeted around 12:45 p.m. that all lanes have reopened on Interstate 215 near Decatur Boulevard after the oil spill and resulting crashes on Friday morning. Traffic was diverted onto Interstate 15 because of the incident. Nevada Highway Patrol is not saying when the lanes will be reopened. Motorists can expect delays for quite some time.